We help our clients by developing customized solutions to help their employees live better, both in and out of the workplace. Our goal is to help you create a more productive, comfortable work environment. After completing an evaluation and giving our suggestions for products and furniture, we’ll help you determine which ones to implement. 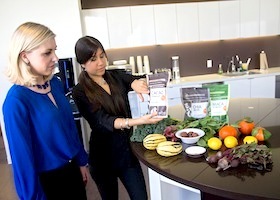 We advise having your employees try out various products to see which ones will make a positive difference. This will also help you determine how many of your employees will actually use the furniture/products before placing a large order. To do this effectively, we help our clients design and create Ergonomic Testing Centers. We work with representatives from different company departments to develop Ergonomic Testing Centers. Within these centers, your employees will test out pre-approved ergonomic furniture and products. These will be selected by the representatives from various departments, who will have tested and approved the products first. We’ll assist you with the design and development of the Ergonomic Testing Center. Our experts will advise which products should be displayed in the center and help schedule and coordinate with vendors to test out products. We also provide continuous support by researching the latest ergonomic products to keep your testing center up to date.